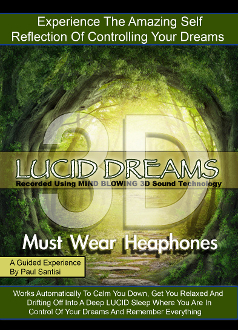 A wonderful guided meditation into the World of Lucid Dreaming by Paul Santisi. This audio will get you relaxed and bring you to a state of awareness while you sleep. This is th emost powerful and effective audio that will have you Lucid Dreaming like never before.